Hotel Ketchum is ideally located on Main Street in downtown Ketchum, Idaho. 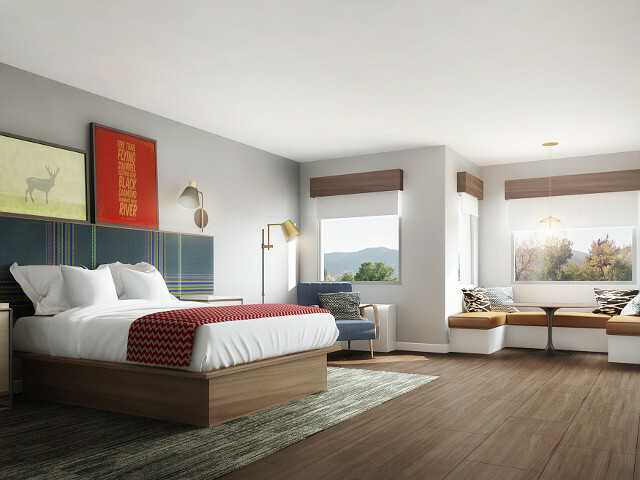 In a fully remodeled building (formerly home to the Bellemont and Clarion Hotels), Hotel Ketchum in an authentic re-imagination of the perfect home-base for visitors who share a desire for inspired and immersive experiences and memories. 'Settle in, set out' is one of our motto because we view our hotel as a launching pad for bigger adventures, and we want to uphold that idea in everything we do. Hotel Ketchum has a history of its own, and at one point in time, was a social stomping ground in the area. The new design intent is to bring back that same community feeling with a sophisticated and cheerful sensibility. 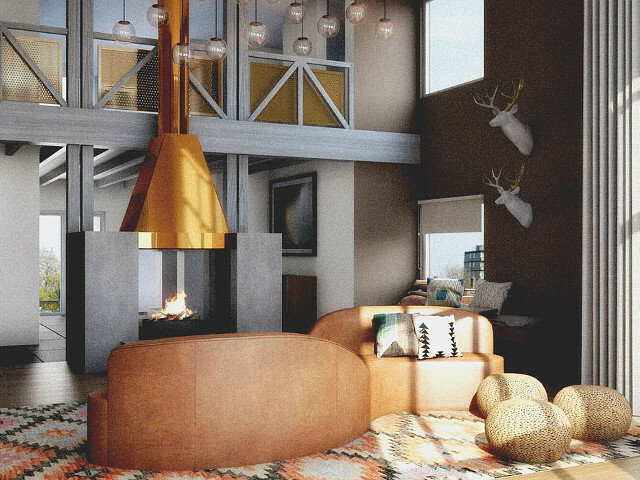 Upon your arrival at Hotel Ketchum, you'll be surrounded by a suggestion of modern mountain flair that incorporates a mix of natural materials and textures indigenous to the area. InIdaho has been partnered with Sun Valley hotels and motels for about 21 years. We guarantee the lowest prices for Hotel Ketchum reservations. Our local idaho business is staffed by friendly and efficient employees who appreciate that you choose to make your reservations for Hotel Ketchum with us. Our rates are always the same or lower as calling the Hotel Ketchum direct. We also offer group rates for Hotel Ketchum - just contact us! 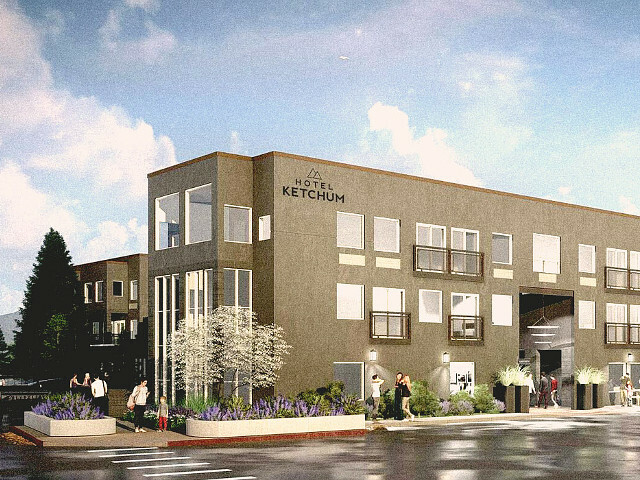 We do not have any current pre-built packages for Hotel Ketchum . Our Balcony Double Queen rooms are approximately 340 sf, feature two Queen beds and a balcony. There is no better way to spend time with your travel companions than stepping out on to your balcony and enjoying the Bald Mountain view. 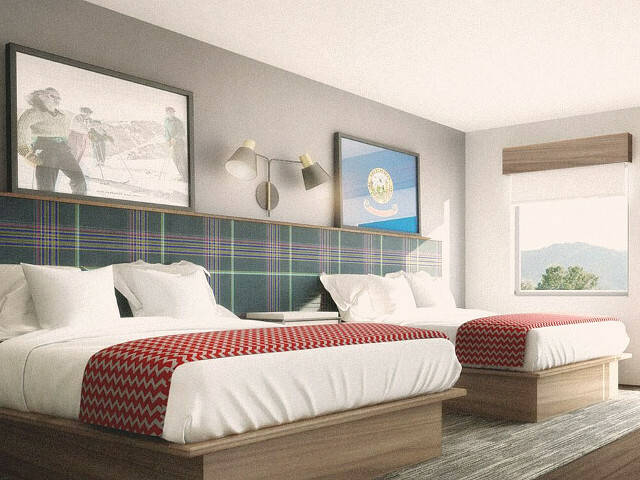 Complimentary Wi-Fi, multiple outlets with additional USB charging ports for all of your devices, in-room safes, air conditioning, telephone, 50-inch Samsung HD flat screen TVs, custom art, spacious bathrooms with walk-in showers complete with C.O. Bigelow bath and body products, custom boxer bathrobes, Euro Top Simmons mattresses, hypoallergenic pillows & comforters, premium 300-thread count linens, and plush towels. Offering relaxation with a view, our Balcony King Rooms are approximately 340 sf, feature a King bed and a balcony with stunning views of Bald Mountain. Complimentary Wi-Fi, multiple outlets with additional USB charging ports for all of your devices, in-room safes, air conditioning, telephone, 50-inch Samsung HD flat screen TVs, custom art, spacious bathrooms with walk-in showers complete with C.O. Bigelow bath and body products, custom boxer bathrobes, Euro Top Simmons mattresses, hypoallergenic pillows & comforters, premium 300-thread count linens, and plush towels. 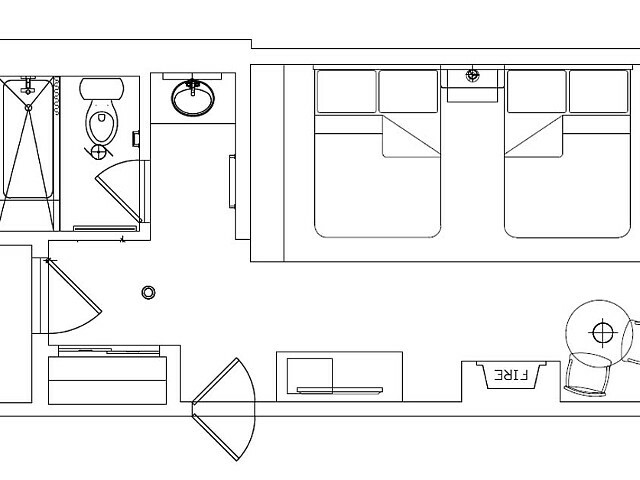 340 Square feet. Complimentary Wi-Fi, multiple outlets with additional USB charging ports for all of your devices, in-room safes, air conditioning, telephone, 50-inch Samsung HD flat screen TVs, custom art, spacious bathrooms with walk-in showers complete with C.O. Bigelow bath and body products, custom boxer bathrobes, Euro Top Simmons mattresses, hypoallergenic pillows & comforters, premium 300-thread count linens, and plush towels. Perfect for an Idaho getaway for two, our Fireplace King rooms are approximately 340 sf and were made for curling up in front of a warm fire with someone special. Complimentary Wi-Fi, multiple outlets with additional USB charging ports for all of your devices, in-room safes, air conditioning, telephone, 50-inch Samsung HD flat screen TVs, custom art, spacious bathrooms with walk-in showers complete with C.O. Bigelow bath and body products, custom boxer bathrobes, Euro Top Simmons mattresses, hypoallergenic pillows & comforters, premium 300-thread count linens, and plush towels. 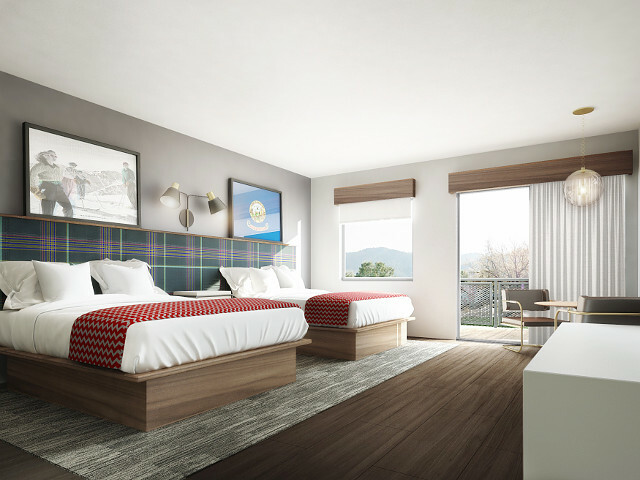 These rooms are approximately 340 sf and feature two Queen beds, providing plenty of room for the whole family to relax after an exciting day on the mountain or in town. Complimentary Wi-Fi, multiple outlets with additional USB charging ports for all of your devices, in-room safes, air conditioning, telephone, 50-inch Samsung HD flat screen TVs, custom art, spacious bathrooms with walk-in showers complete with C.O. Bigelow bath and body products, custom boxer bathrobes, Euro Top Simmons mattresses, hypoallergenic pillows & comforters, premium 300-thread count linens, and plush towels. 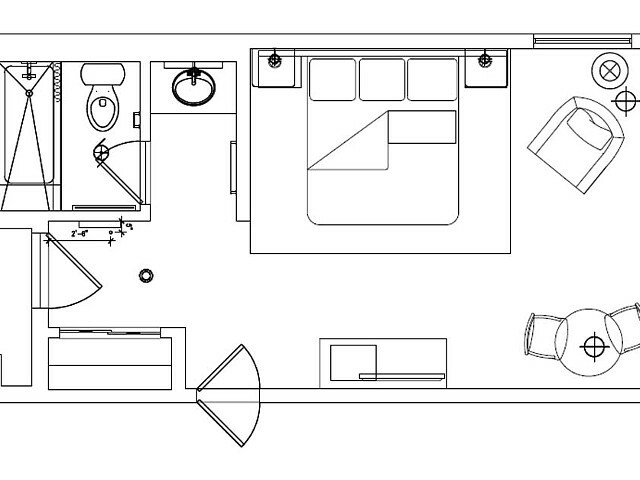 These rooms feature one King bed and approximately 340 sf of space to help you settle in before you set out. Complimentary Wi-Fi, multiple outlets with additional USB charging ports for all of your devices, in-room safes, air conditioning, telephone, 50-inch Samsung HD flat screen TVs, custom art, spacious bathrooms with walk-in showers complete with C.O. Bigelow bath and body products, custom boxer bathrobes, Euro Top Simmons mattresses, hypoallergenic pillows & comforters, premium 300-thread count linens, and plush towels. Cancellation Policy**:(May vary with special rates, packages & online bookings) Cancellations must be made outside 14 days prior to arrival. Any cancellations made less than 14 days prior will be 100% non-refundable. 100% Deposit is taken 14 days prior to arrival.